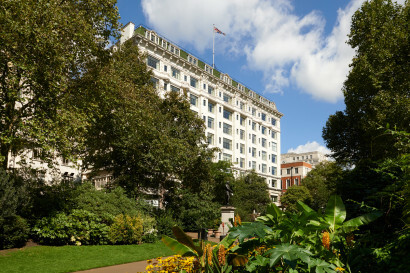 The Savoy in London, owned by Breezeroad Limited, a joint venture investment company between entities controlled by Lloyds Banking Group plc and Kingdom Holding Company (an investment firm chaired by HRH Prince Alwaleed Bin Talal), has been managed by Fairmont Hotels & Resorts since 2005. 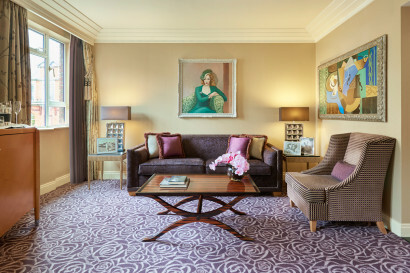 Kiaran Macdonald, Managing Director, joined The Savoy, A Fairmont Managed Hotel in October 2006 before the hotel closed in December 2007 for the most ambitious hotel restoration in British history. Fairmont Hotels & Resorts is a celebrated collection of more than 65 luxury properties around the globe. The luxury brand’s distinctive hotels offer a sense of heritage and sophistication, warm, engaging service and culturally rich experiences. 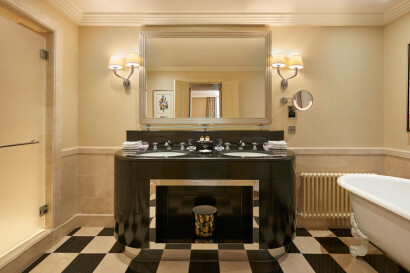 The Savoy, one of the world’s iconic hotels, originally opened in 1889, recently completed the most ambitious hotel restoration in British history. 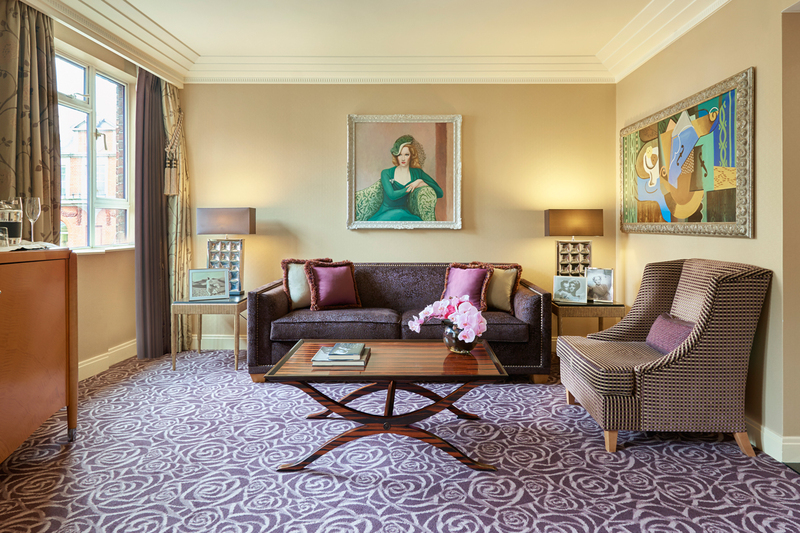 The hotel has played host to royalty, world leaders and legends of the stage and screen. It boasts some of the most well known bars and restaurants in London including the American Bar and Savoy Grill. 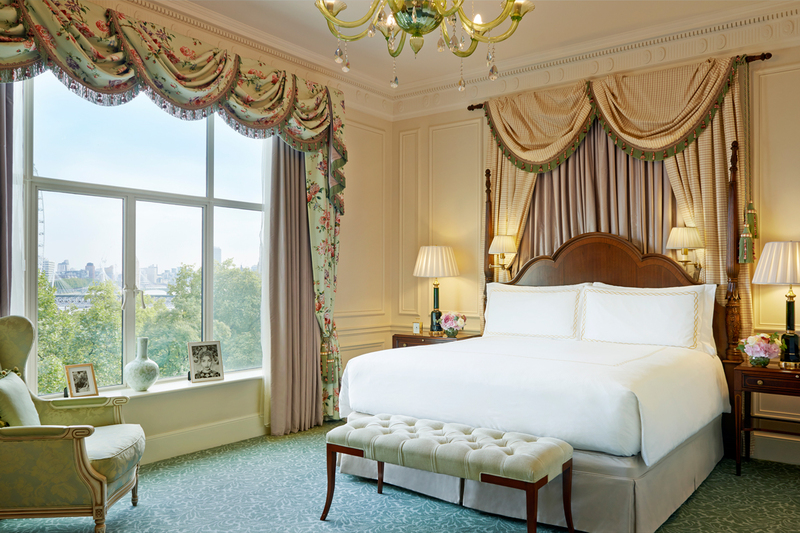 Located on the banks of the River Thames, in the heart of one of London’s most cosmopolitan areas, The Savoy is ideally placed for those travelling on business or pleasure. 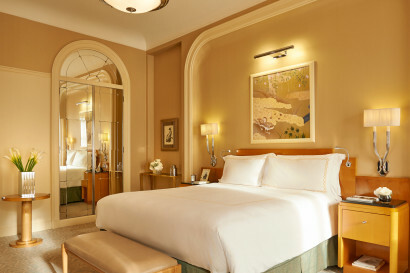 World class museums, theatres and opera houses are just steps away while the City is a short taxi ride from the hotel. 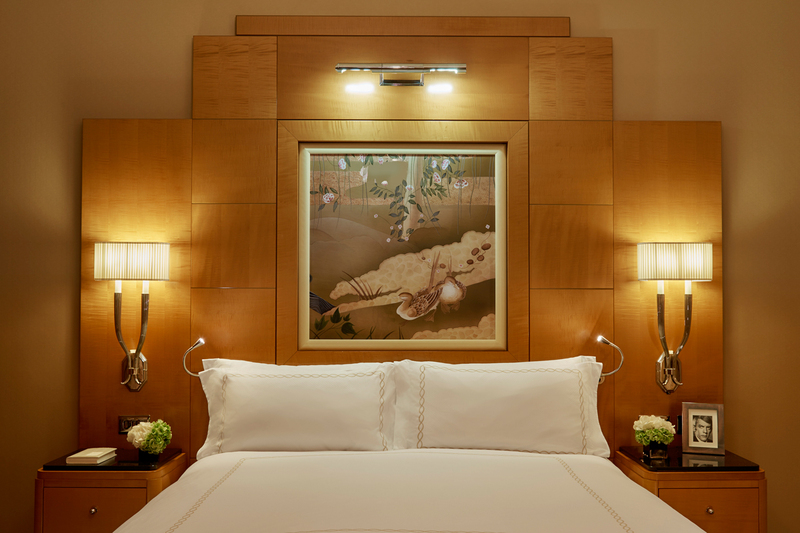 The Savoy offers a total of 268 guestrooms and suites consisting of 206 rooms and 73 suites. 38 of these rooms and suites are directly on the River Thames and enjoy stunning views up and down the river. 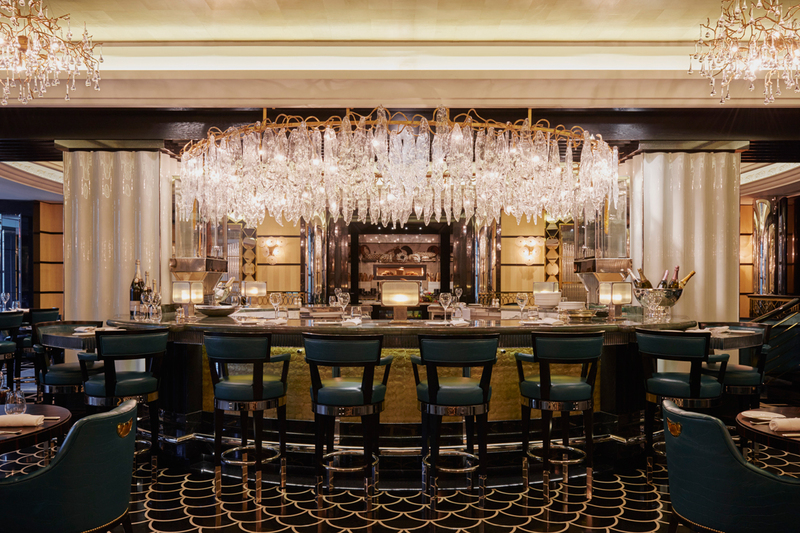 As part of the restoration, the familiar restaurants and bars that helped The Savoy make its name have been given a splendid new life. • Kaspar’s Seafood Bar and Grill – With panoramic views of the River Thames and London landmarks. 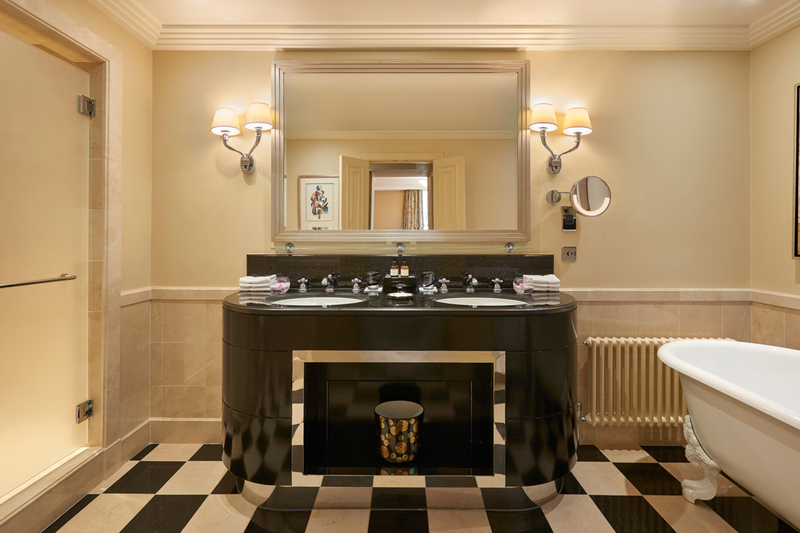 The vibrant new design will evoke The Savoy’s rich and glamorous past, whilst creating a sought after but relaxed dining environment, where Kaspar, The Savoy’s most famous four legged feline will reside. 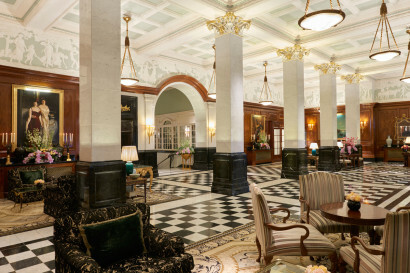 • Savoy Grill – Frequented by celebrated diners such as Sir Winston Churchill, Oscar Wilde, Frank Sinatra and HM Queen Elizabeth The Queen Mother, the original seating plan has been brought back for the reopening. Dishes include charcoal grilled Chateaubriand with pommes soufflées, king crab and prawn cocktail, lime and chocolate soufflé and iced Peach Melba. • American Bar – The American Bar has long been one of London’s favourite meeting spots and is one of the most iconic cocktail bars in the world. The award-winning team of bartenders is led by Erik Lorincz, who was named by Condé Nast Traveler (USA) as their Hot Bartender of 2011. • Beaufort Bar – The Beaufort Bar exudes an unashamedly old-fashioned glamour. 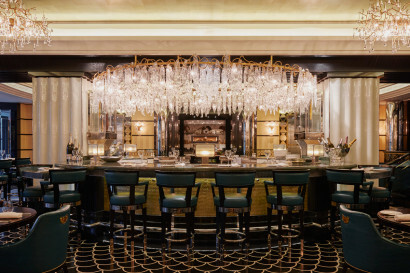 In a theatrical, Art Deco interior of jet-black and burnished gold decor, the bar is all about champagne, cocktails and cabaret. It offers one of London’s most extensive choices of champagne by the glass and by the bottle including rare vintages from Louis Roederer and Cristal. 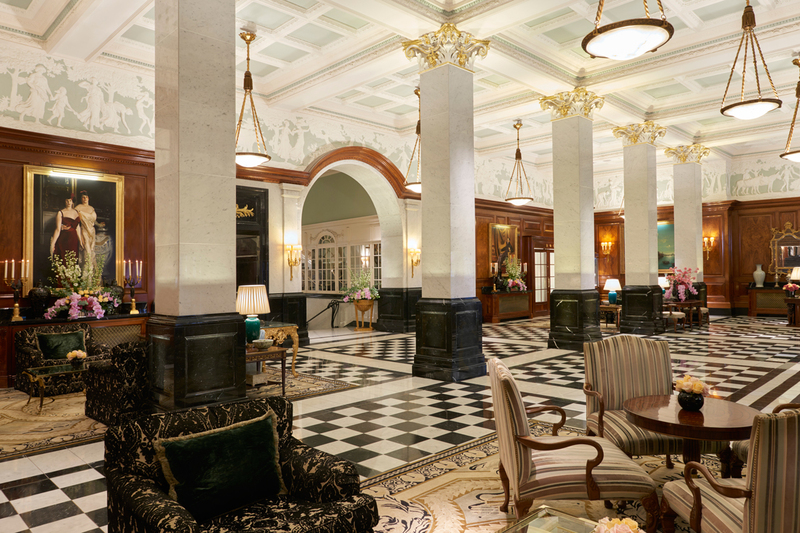 • Thames Foyer – The Thames Foyer is very much the heart of The Savoy. Flooding the space with natural light on even the darkest of winter days, it has transformed the Thames Foyer into a magnificently sociable spot. 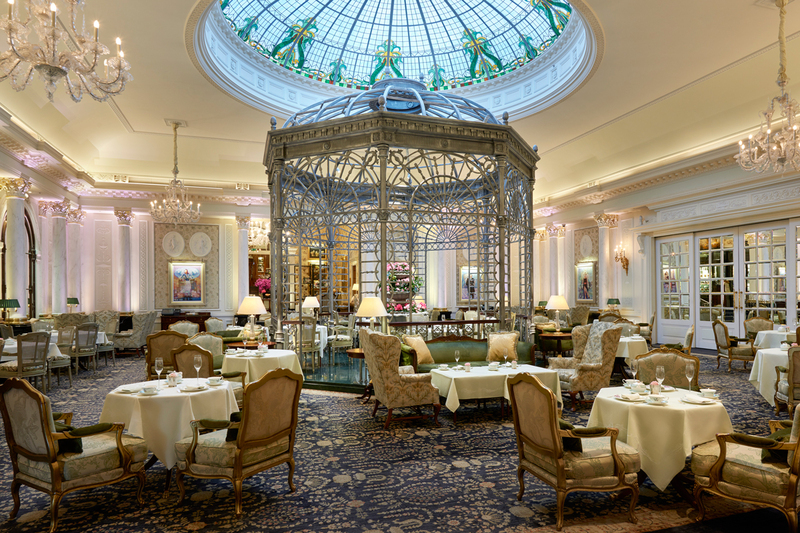 Beneath the dome, there stands a winter garden gazebo from where the hotel pianist serenades guests enjoying the hotel’s world famous afternoon tea. Beauty and Fitness at The Savoy is a private retreat in the heart of London for health, relaxation and wellbeing that can be enjoyed by hotel guests and members. 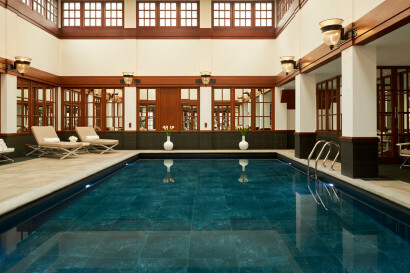 The centrepiece is the swimming pool situated in its own atrium that is filled with natural light. State-of-the-art fitness equipment includes cardiovascular machines by Technogym and free weights while personal trainers are available to help maintain fitness. A full menu of massage, facial and beauty treatments are offered alongside separate male and female, sauna, steam rooms and changing rooms. The 3 imposing Banqueting Rooms are well known for hosting grander affairs while the 6 Private Rooms are ideal for more intimate gatherings. 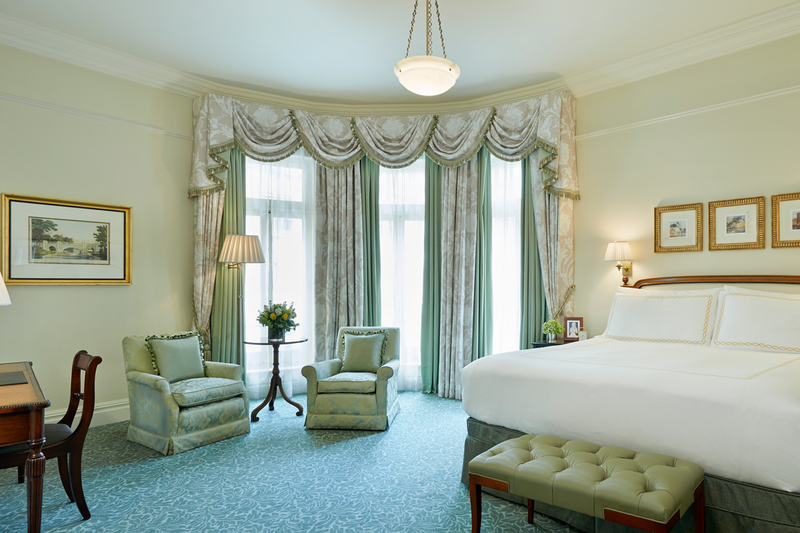 The Private Rooms are all named after Gilbert & Sullivan operas with the most historic being Pinafore. This is the room where Sir Winston Churchill founded his dining club, the Other Club, in 1911. Traditionally the serving British Prime Minister has always attended a meeting of the Other Club and their portraits hang in this room alongside a bust of Churchill. • Forbes, London Star Awards, 2013 – Five-Star Hotel. • Travel + Leisure, T=L 500, 2013 – The Best Hotels in the World. • Conde Nast Traveler (USA) – 2013 – Gold List. 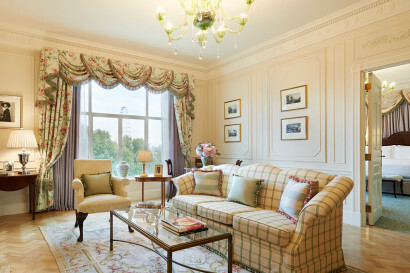 • Telegraph Travel Awards 2012 – Favourite UK Hotel. • Travel + Leisure, T+L 500, 2012 – The Best Hotels in the World. • Travel + Leisure, India’s Best Awards 2012 – Best Heritage Hotel (world), runner-up. • Andrew Harper’s Hideaway Report, Special Recognition Awards 2012 – Best View. 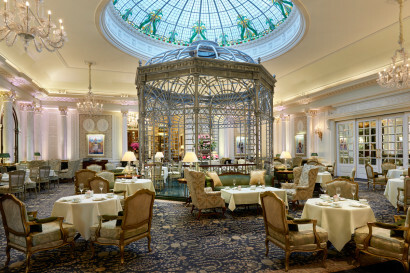 • Luxury Travel Advisor Magazine 2012 Awards of Excellence – Best Reinvented Classic Luxury Hotel/Resort Worldwide: The Savoy. The Savoy employs 630 persons.